Realme Yo! Days Sale will kickstart on Monday. Realme that was introduced in May 2018 rose to success within a short span of time. The company has launched an array of five smartphones till date with the latest one being the Realme U1. All its smartphones are aimed at the budget and mid-range smartphone users and offer enough features making them value for money offerings. The Realme U1, which was launched in November 2018 is available in two color variants - Ambitious Black and Brave Blue. Back then, the company confirmed that it will come in a new Fiery Gold color variant sometime around the new year. 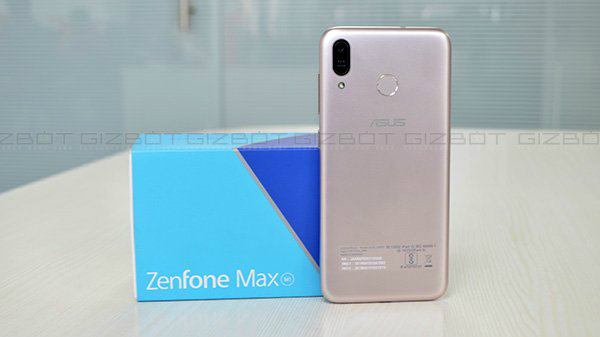 Now, the new color option of the budget smartphone has been launched. The company took to Twitter to announce the launch of Realme U1 Fiery Gold color variant and Realme Yo! Days sale. This new color option will go on sale for the first time during the sale. 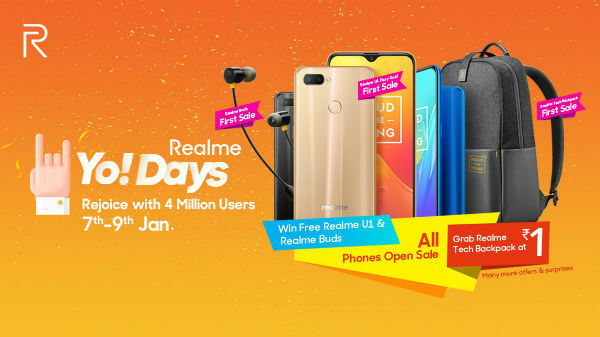 Also, there will be attractive deals on the Realme accessories. The Realme Yo! Days sale will debut on January 7 and will go on until January 9. 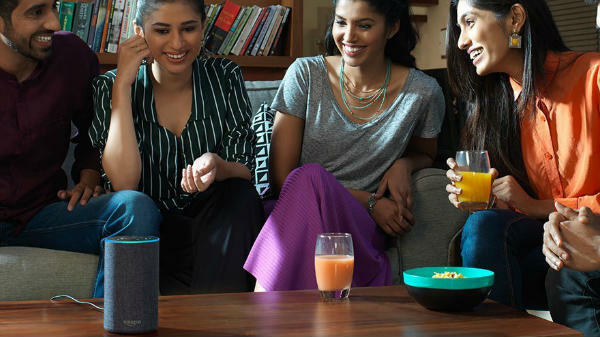 Deals that are a part of the sale will be available on Amazon, Flipkart and the official Realme online store. There will be attractive deals and discounts and new products up for grabs during the three days of sale. The Realme U1 Fiery Gold smartphone is priced at Rs. 11,999 for the base variant with 3GB RAM + 32GB ROM. The high-end variant with 4GB RAM + 64GB ROM and is priced at Rs. 14,499. Apart from this new smartphone, it has been announced that the Realme Buds and Realme Backpack will be available for sale. The Realme Buds is priced at Rs. 499 while that of the Backpack remains unknown for now. Also, there is a chance for the users to win the Realme U1 and the Realme Buds. And, all the Realme smartphones will be available on open sale for the interested consumers. The Backpack will be up for Re. 1 for the buyers who want to get their hands on this accessory. This sale is meant to celebrate the company's success of selling 4 million units of smartphones in a period of seven months.